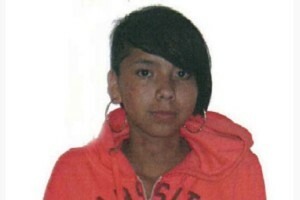 This past Saturday was the funeral of murdered teen Tina Fontaine, held in her Winnipeg home community of Sagkeeng First Nation. The 15-year-old girl’s body was found wrapped in a plastic bag after being dumped in Red River. Let’s pause for a second here: Her body was dumped in a river. That’s horrifying. So too is the fact that Fontaine, like too many murdered and missing women of recent years, was aboriginal. How is this still happening? How can Prime Minister Stephen Harper says her death should be treated as a crime and not a sociological phenomenon? Despite what Harper says, there is plenty of evidence to support concern that Fontaine’s death is part of a wider, more troubling trend. 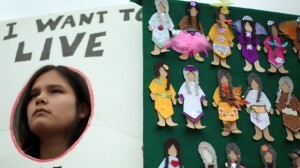 Take, for instance, the 2013 RCMP report Missing and Murdered Aboriginal Women: A National Operational Overview, which states: “Aboriginal women are over-represented among Canada’s murdered and missing women.” Or the August 19 press release from the Native Women’s Association of Canada (NWAC), which works to advance the well being of aboriginal women and girls. “Every week now, we hear of another aboriginal girl or woman, who has gone missing, to be found brutally murdered,” says NWAC president Michèle Audette referring to yet another case—that of Samantha Paul, an aboriginal woman from Kamloops, B.C. whose body was found early this month after being reported missing almost a year ago. NWAC delivered 23,088 signatures to the Government of Canada in February 2014 petitioning for a national inquiry into this issue, in hopes to implement a national action plan. According to the NWAC website, the organization has not yet received a response. Aboriginal women, according to the RCMP report, make up 4.3 percent of Canada’s population. Out of this small percentile comes 16 percent of female homicides and 11.3 percent of missing women. When one group of people is so obviously targeted, we act. This does not negate the action against helping those outside of that group as well—but we need to identify the problem, and accept it as such, so it can be solved. In this case, that problem is a deadly epidemic.